A Ventura County Sheriff's helicopter crew helped locate a suspect who fled on foot in Camarillo Sunday morning. A misdemeanor warrant arrest in Camarillo Sunday morning triggered a pursuit that drew a helicopter crew to help find the man, officials said. The incident unfolded around 9:30 a.m. at the park-and-ride lot off Pleasant Valley Road, on the south side of Highway 101, according to the Ventura County Sheriff's Office, which provides police services in Camarillo. When a deputy made contact with an individual wanted on a misdemeanor warrant, the man ran off, officials said, triggering a brief foot pursuit. He ran across Pleasant Valley Road and through a Mobil gas station, authorities said, then hopped over a fence into a backyard on Cottage Grove Avenue. There, he hid in some bushes, according to sheriff's officials. 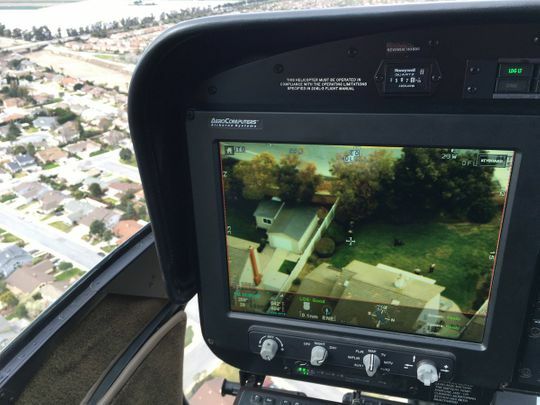 The sheriff's Copter 3 air unit flew in to search from the sky, locating the wanted man in the backyard. A K-9 police dog unit also responded but was not used, officials said. Deputies arrested the man without incident on the misdemeanor warrant. The Star generally does not name people arrested solely on suspicion of misdemeanor violations. 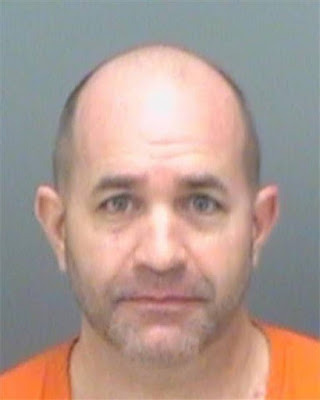 A Clearwater man was charged with felony misuse of a laser lighting device after deputies say he pointed the red light at an airborne Sheriff’s Office helicopter February 17th, 2019. One Florida man learned the hard way that it wasn’t there for decoration. 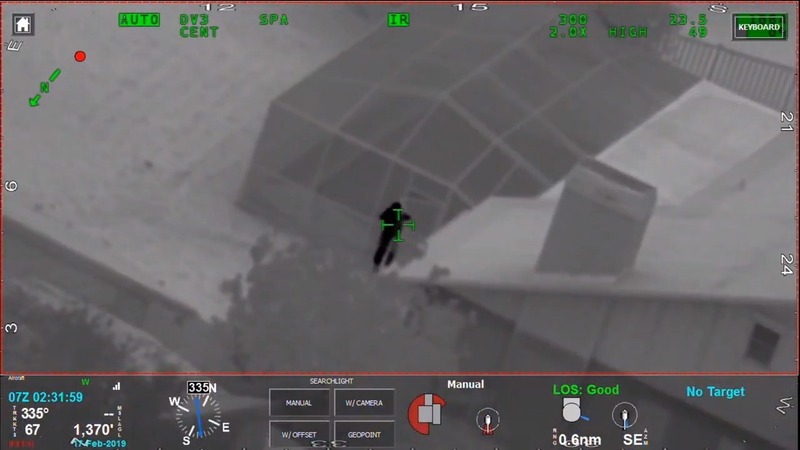 The Pinellas County Sheriff’s Office said Sunday that Brian Harting, 48, was charged with a felony after using his red laser to point at a helicopter. According to the sheriff’s office, a helicopter was in the air about 2:30 a.m. Sunday when it spotted a controlled fire in unincorporated Clearwater. The pilot circled the area while patrol units responded to check on the fire. 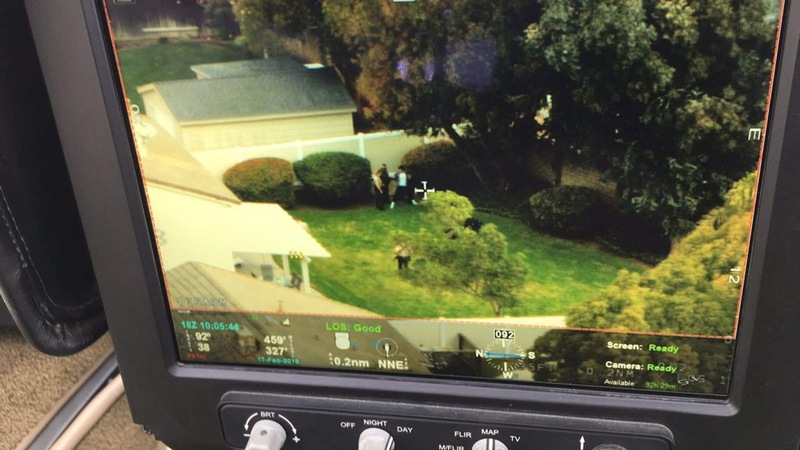 “While the helicopter was in-flight, a subject standing in a backyard of a residence, southwest of the controlled fire, shined a red laser lighting device at the aircraft three times,” the sheriff’s office said in a news release. Video from the helicopter shows what appears to be the shadow of a man in a backyard. The light can also be seen in the video. The Flight Unit was able to direct patrol deputies to a home in unincorporated Clearwater, the sheriff’s office said. Harting “admitted to illuminating helicopter with the laser lighting device and stated he was unaware it was illegal,” according to the news release. Florida law says “any person who knowingly and willfully shines, points, or focuses the beam of a laser lighting device on an individual operating a motor vehicle, vessel, or aircraft,” can be charged with a third degree felony. On January 21, 2018, at 1304 eastern standard time, a Cessna 172RG airplane, N9415B, sustained substantial damage while landing at the Eastern West Virginia Regional Airport (MRB), Martinsburg, West Virginia. 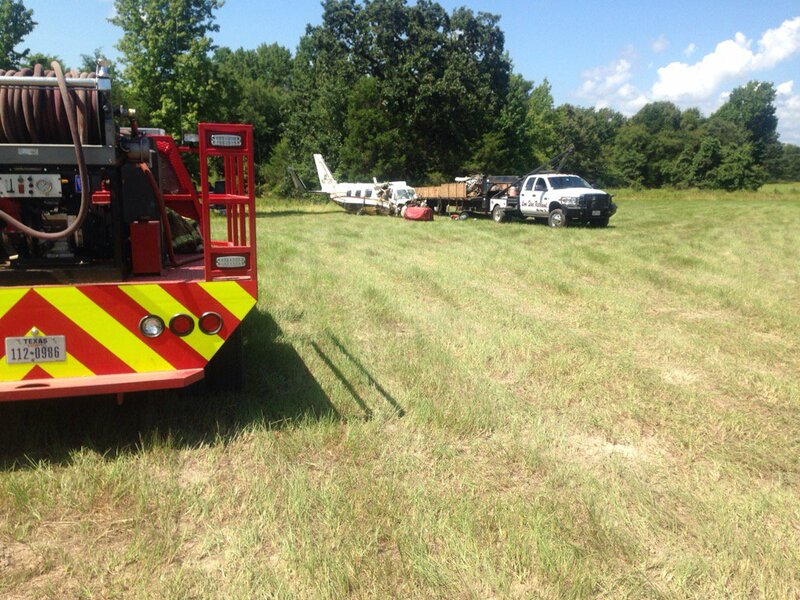 The flight instructor and the private pilot were not injured. The airplane was registered to Dulles Aviation, Manassas, Virginia, and operated by Av-Ed Flight School, Leesburg, Virginia, as a Title 14 Code of Federal Regulations Part 91 instructional flight. Visual meteorological conditions prevailed and no flight plan was filed for the flight that originated from Leesburg Executive Airport (JYO), Leesburg, Virginia, about 1130. The flight instructor stated that the purpose of the flight was to practice commercial pilot maneuvers and landings. The flight was normal, and they had completed about six short and soft-field takeoffs and landings without incident. On the seventh landing, after the private pilot extended the landing gear, the gear down-and-locked light did not illuminate. A visual check revealed that the nose gear was extended but the main gear was trailing and not fully extended. The flight instructor said they used the manual emergency gear handle to try and pump the main gear down, but there was not enough hydraulic pressure in the system to extend the gear. The flight instructor then landed the airplane with the nose wheel still extended. He said he was able to keep the airplane straight for about 600 ft, but the airplane's left wing dropped resulting in substantial damage to the wing and elevator. After exiting the airplane, hydraulic fluid was observed pooling under the airplane and along the side of the empennage. The hydraulic reservoir was empty. A postaccident examination of the airplane revealed that an O-ring had failed internally inside the right gear actuator and it was leaking hydraulic fluid. Since the landing gear is extended/retracted by hydraulic pressure, the leak prevented the system from having adequate pressure for the electric pump and the manual gear handle to extend the gear. At 1306, the weather conditions reported at MRB were calm wind, visibility 10 statute miles, scattered clouds at 3,900 ft, overcast clouds at 7,500 ft, temperature 13° C, dewpoint 5° C, and an altimeter setting of 30.12 inches of mercury. On October 7, 2018, about 1500 Alaska daylight time, an unregistered weight-shift controlled, Airborne X-series Redback "Trike" aircraft, sustained substantial damage following a loss of control and impact with terrain shortly after takeoff from Lakewood Airport (78AA), North Pole, Alaska. The student pilot sustained serious injuries. The airplane was owned and operated by the pilot as a 14 Code of Federal Regulations Part 91 visual flight rules (VFR) flight. Visual meteorological conditions prevailed, and no flight plan had been filed. According to the student pilot, the flight was his first flight in the unregistered trike and he had received no flight training in the aircraft prior to the accident but had downloaded and the read the aircraft's manuals. After applying full power and reaching an airspeed of about 30 knots he pushed forward on the control bar to initiate the liftoff. Shortly after liftoff, the aircraft turned right, felt like it" stalled" and impacted the ground resulting in substantial damage to the carriage keel and wing. The pilot reported that there were no preaccident mechanical malfunctions or anomalies that would have precluded normal operation. The pilot reported that he believed the trike was an ultralight aircraft. According to the trike's operating manual, the aircraft specifications exceeded the maximum takeoff weight, fuel capacity, and seat limitations stated in 14 Code of Federal Regulations Part 103 for ultralight aircraft. A leak from an air conditioner unit caused the sickening fumes that forced a Frontier Airlines flight to declare an emergency and return to Long Island MacArthur Airport just 15 minutes after taking off last November, according to the Federal Aviation Administration. Bound for Myrtle Beach, South Carolina, Flight 1851 with 218 people aboard landed safely at about 12:25 p.m. on Nov. 1 after fumes circulated in the cockpit, where the pilots donned oxygen masks, and in the galley area, the investigation found. “On takeoff, strong odor occurred in the cabin, passengers and crew members started covering their noses,” a Frontier Airlines employee told investigators according to FAA records obtained through the Freedom of Information Act. One flight attendant became nauseous and vomited in the lavatory; several passengers also felt nauseous, the records said. “We were met by airport firefighters, airport staff and police upon arrival,” another employee told investigators. The stricken flight attendant was hospitalized; a co-worker and several passengers were evaluated by emergency medical technicians, the airline workers added. Frontier Airlines did not respond to requests for comment. FAA policies preclude comment on such reports. Airlines must inform the federal watchdog when fumes are detected, an FAA spokesman said by email. “The FAA believes that the cabin environment in the vast majority of commercial flights is safe,” he said. In 2015, for example, only about 98 “fume events” were reported, out of the millions of U.S. flights that year, he said. Still, problems with the “environmental control system” that shields passengers and crew from the brutal cold and low atmospheric pressure at high altitudes, are not uncommon. Air conditioning is a crucial part of environmental control systems. Problems with those systems ranked sixth out of 24,409 system component failures or malfunctions found from January 1993 through January 2011, said a report by the NASA Glenn Research Center in Cleveland. There were 1,619 environmental control system problems, the 2014 report said. The top categories were: propulsion systems, 3,240; monitoring and management, 2,661; landing gear, 2,155; electrical power, 1,933; and control surface, 1,817. When fumes enter cabins, “The most common cause is a contaminant in the bleed air system, and it’s fairly common,” said Kevin R. Kuhlmann, an aviation and aerospace science professor at Metropolitan State University of Denver. For decades, he said, jets have used these “bleed” systems to funnel air rushing into engine compressors, before it reaches the fuel, into the air conditioning. The systems have “probably been used ever since jet engines were invented,” Kuhlmann said. While newer aircraft are starting to use different systems, the cost of retrofitting jets would be prohibitive, he said. Frontier’s Airbus 321 resumed flying one day after mechanics fixed the air conditioning — without incident, FAA records show. MUKILTEO — After two pilots landed a corporate Learjet at Paine Field and started their post-flight routine one summer day in 2017, they were surprised when a man walked up to the aircraft’s open door and asked if he could come inside. The stranger had strolled onto Everett Hangar’s property without permission. He identified himself as a guest of the Historic Flight Foundation museum next door but wore no identifying badge, the pilots later recalled. One of the pilots asked him to leave. “The man, however, pressed me several more times to board the aircraft, and I repeatedly and politely told him it was not a public aircraft he could view and that he was trespassing,” the pilot said, in a sworn court statement. The pilots grew concerned the man might become physically aggressive, though he eventually left. The encounter from the August before last was part of a running dispute between the private hangar and the neighboring museum. They both lease land from Paine Field. The conflict underscores some of the difficulties vintage airplanes and corporate jets have had co-existing on the west edge of Snohomish County’s airport. By that point, Everett Hangar, the museum and its affiliates had been clashing in court for years. The corporate hangar exclusively serves Weidner Property Management, a Kirkland-based company that develops townhomes throughout the western U.S. and Canada. Its facility, just off Mukilteo Speedway, is sandwiched between two lots. One hosts the museum and the other is undeveloped; both neighboring land parcels are leased to a company controlled by Historic Flight founder John Sessions. 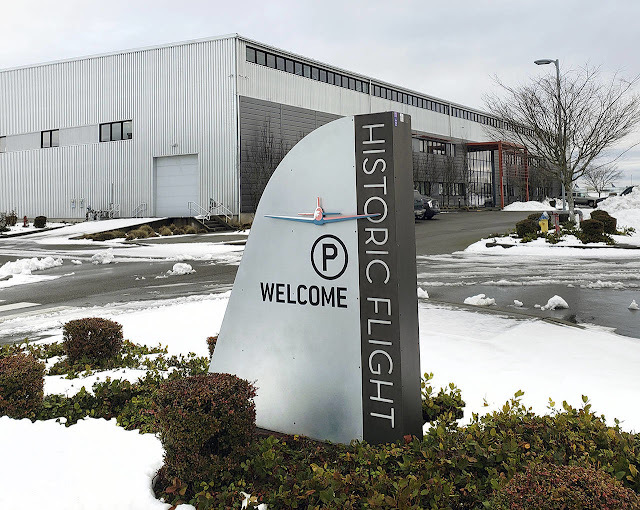 In 2014, Everett Hangar sued in Snohomish County Superior Court, claiming that public events at the museum had blocked its access to the property and created unreasonable risks, among other allegations. A later suit in King County Superior Court challenged Everett Hangar over the rules for managing the adjoining properties. Much of the legal back-and-forth deals with the intricacies of airport covenants, conditions and restrictions. Everett Hangar prevailed in both cases in the state Court of Appeals earlier this year, though not all of its claims were borne out. The claims that have stood up in court have largely involved patrons wandering over from the museum or an undeveloped lot used for parking, where there was an open gate and no security personnel. Those lapses violated the requirements set out for the museum in a court injunction. In 2017, a Snohomish County Superior Court judge found the nonprofit museum and a company involved with managing its building in contempt of the injunction. The judge imposed $35,000 in penalties for seven violations. The contempt order is a tiny fraction of the expense. Each side has enlisted major Seattle law firms. Legal costs have run into the millions of dollars. Everett Hangar has been awarded more than $1.6 million in legal fees, including interest, from the two separate court cases and appeals. Davis Wright Tremaine represents Everett Hangar. The court-awarded fees don’t count what Sessions has paid attorneys from Perkins Coie and Hillis Clark Martin & Peterson. Opened in 2010, the Historic Flight Foundation houses immaculately restored fighters, passenger planes and other aircraft in flying condition. Together, they showcase aviation history from the late 1920s through the late 1950s, spanning Charles Lindbergh’s solo Atlantic flight to the development of the Boeing 707. Sessions had been able to fly the planes in the collection, but had a setback last summer while piloting a 1930s biplane at the Abbotsford International Airshow in British Columbia. Sessions crashed shortly after takeoff with four spectators on board. The passengers survived, apparently without grave injuries, but Sessions’ left foot was severed below the knee. He’s learned to walk with a prosthesis and soon hopes to resume jogging. As the legal fight has worn on, Historic Flight’s activities at Paine Field have shrunk. The nonprofit last year stopped hosting its Vintage Aircraft Weekend over the Labor Day holiday weekend, an event that attracted 70 airplanes a year earlier. Political leaders have clipped more ambitious plans as well. In 2014, Sessions pitched an idea to expand his attraction into a hub of up to a half-dozen buildings for restoring, displaying and studying vintage aircraft. The county would have had to provide the space for free, or at a nominal fee, for the possibility of adding another attraction of global renown. After two years, a majority of the County Council turned down the proposal, reasoning the land could be put to better use at market rate for manufacturing and more contemporary aviation businesses. Paine Field is a magnet for aviation tourism. It hosts The Future of Flight Aviation Center & Boeing Tour and the late Paul Allen’s Flying Heritage & Combat Armor Museum. The Museum of Flight maintains its Restoration Center and Reserve Collection there. After the county rejected his expansion plan, Sessions began exploring other alternatives in the region. The Historic Flight Foundation is now working with Felts Field in Spokane on building a second location, an art deco-style hangar expected to be ready later this year. GILLETTE (WNE) —If all goes according to plan, the Gillette-Campbell County Airport will be able to complete a five-year project in only one year, thanks to the federal government. The project involves relocating two taxiways and connecting two other taxiways to make the airport more secure. Campbell County Commissioners approved the grant application at their meeting. If the airport gets the grant, the FAA would pay $5 million of the project’s $5.3 million cost. The state would kick in $200,000, and the county would be responsible for $133,333. The FAA wants to increase security and reduce the probability of attacks at airports, airport director Jay Lundell said. One of the solutions is to limit direct access from the apron, where the planes are parked, to the runways. At the Gillette-Campbell County Airport, one of the taxiways provides that direct access from the apron to the runway, while another taxiway doesn’t intersect the runway, which makes it difficult for airplanes to maneuver when they land. Those two taxiways will be relocated to correct the problem, and two others will be connected. MINOT AIR FORCE BASE – Commercial, off-the-shelf remotely piloted aircraft, or drones, continue to be popular and increasing in numbers. Minot Air Force Base residents and area communities are reminded of the sUAS restrictions to prevent accidental violations of security sensitive airspace. The Federal Aviation Administration and Department of Defense has a policy established to make sure the public is aware of these regulations regarding safety and security of resources and personnel on military installations. Drones, which are designated as small unmanned aircraft systems (sUAS) by DoD and FAA, are unmanned aircraft weighing less than 55 pounds. Anyone who operates commercial sUAS must meet certain requirements. This includes certifying and registering the sUAS as well as following the federal requirements referenced at the FAA’s website. Additionally, by law, anyone who wishes to operate a sUAS within 5 miles of the Minot Air Force Base perimeter boundary must notify the airport operator and the air traffic control tower (if one is present) of their flight. TYLER, TEXASX (KLTV) - The plaintiffs in a wrongful death lawsuit are claiming gross negligence caused a Tyler plane crash that killed a pilot and an East Texas pastor. 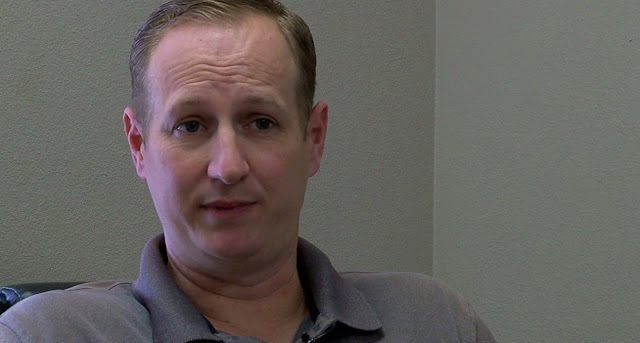 The lawsuit was filed by Preston Burton on behalf of Pastor Trevor Morris’ estate and surviving family members, including his parents, his widow and five children. 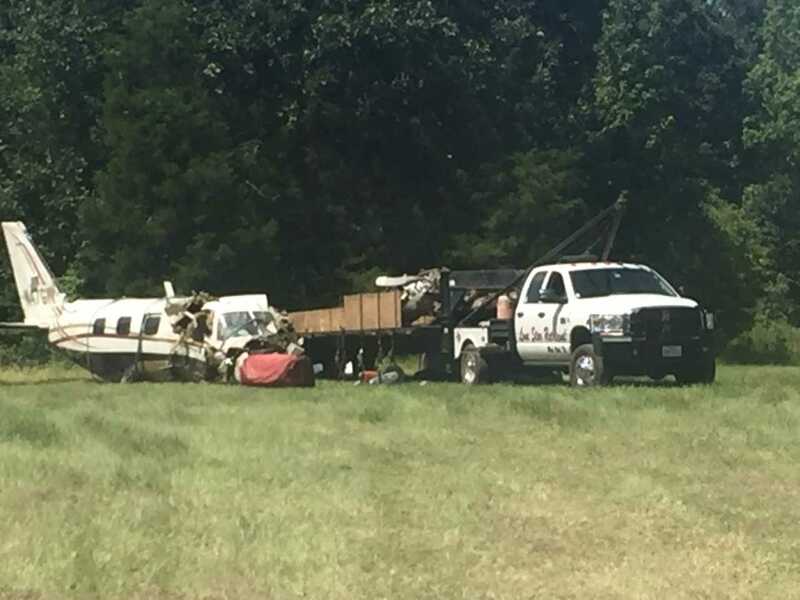 Morris, 39, of Murchison, and pilot William Robert Walls III, 62, of Huntsville, were killed in July 2017 when the plane they were in crashed shortly after takeoff from Tyler Pounds Regional Airport. The lawsuit names three East Texas companies as defendants: First AV Group of Henderson County, Flare Air of Rusk County, and East Texas H.S.I. of Smith County, as well the Sonja Lynne Walls on behalf of William Walls’ estate. The lawsuits seeks a jury trial and damages in excess of $1 million. According to the lawsuit, the plane’s right engine failed during take-off, forcing Walls to take emergency action. “Walls was beyond the point where he could about the takeoff so he needed to proceed with take off, get the aircraft under control, and land so as to assess the situation,” according to the lawsuit. 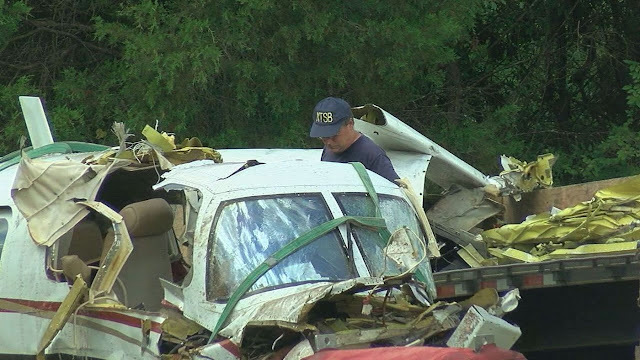 The lawsuit also claims First AV Group and Flare Air contracted with East Texas H.S.I to provide maintenance and inspections of the plane that crashed. The lawsuit claims the defendants failed to control the aircraft, failed to react properly to an emergency, failed to properly operate the plane, failed to retain a competent pilot and failed to properly inspect and maintain the plane. Burton is president of Burton Oil Service Operations and part owner of the plane. Morris was the Vice President of Burton Oil Services. Morris was flying from Tyler to Midland on business at the time of the crash. 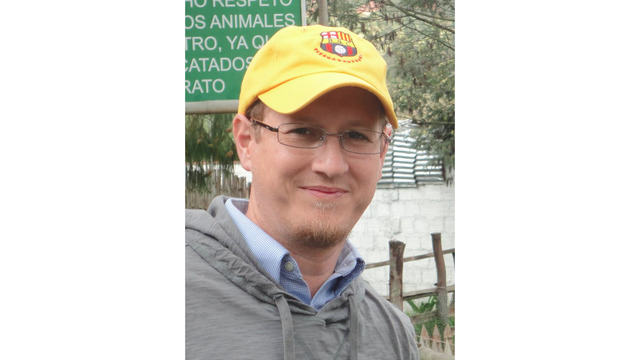 Morris was a pastor at Union Hill Baptist Church in Brownsboro. 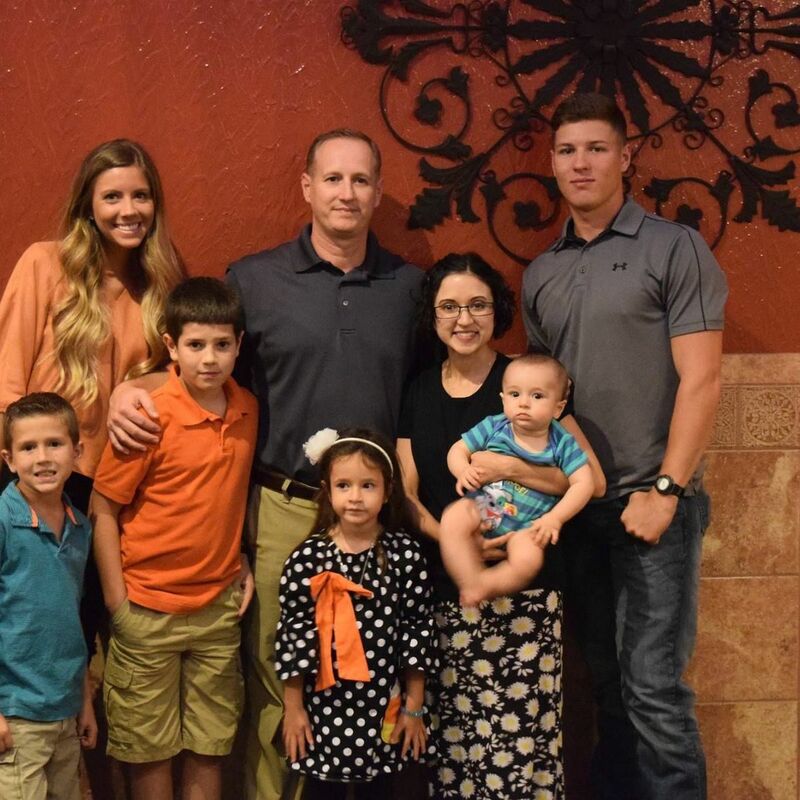 Walls was a member of The Ark Church in Conroe and a retired Southwest Airlines pilot. 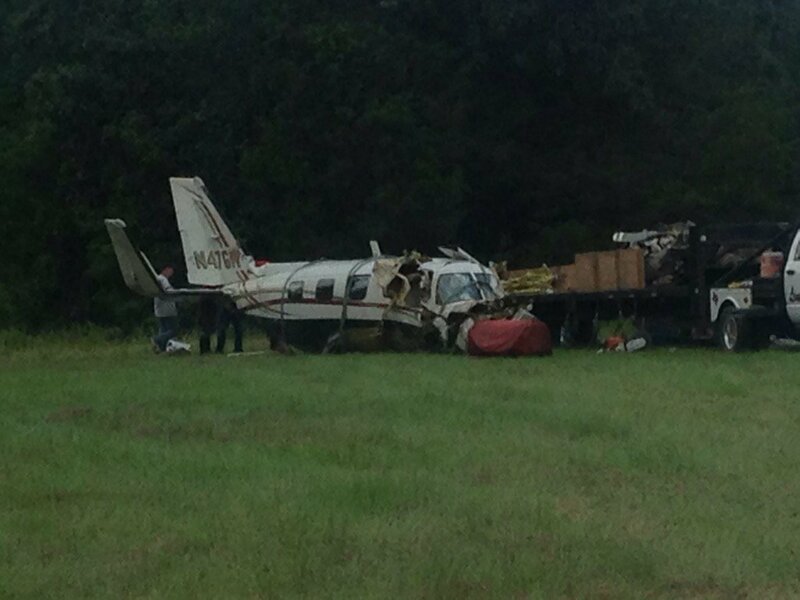 On July13, 2017 about 0810 central daylight time, a Piper Cheyenne, PA-31T airplane, N47GW, impacted terrain near Tyler, Texas. 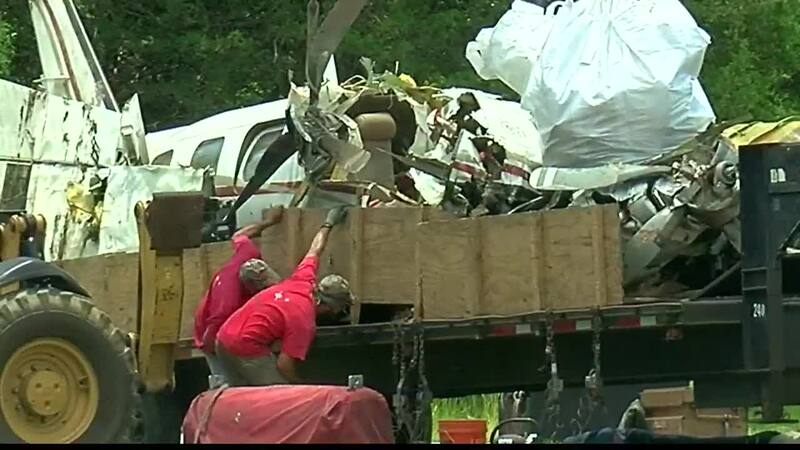 The airline transport rated pilot and sole passenger were fatally injured, and the airplane was destroyed. 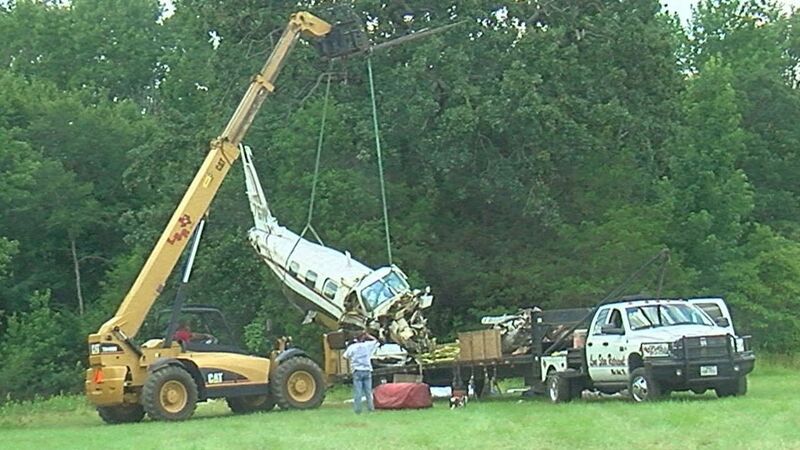 The airplane was registered to and operated by T-210 Holdings, LLC, Dover, Delaware under the provisions of 14 Code of Federal Regulations Part 91 as a business flight. Visual meteorological conditions prevailed and the airplane was an instrument flight plan. The cross-country flight was originating at the time of the accident, and was enroute to Midland, Texas. Preliminary information indicates that shortly after departure, the airplane descended into terrain. The on-site examination of the wreckage revealed the airplane impacted an open field surrounded by trees. The wreckage was located on the edge of a small pond about one-half mile from the end of runway 17. There was not a post-crash fire; however, fuel was found at the site. After the initial on-site documentation of the wreckage, the airplane was recovered to a secure facility, for further examination. MACON, Georgia — When Navy Pilot, Jim Lowe, returned from World War II, he took his flight training and launched Lowe Aviation-- now run by his son, Henry. Lowe grew up living and breathing aviation, "I guess it's kind of natural I figured everybody knew how to fly. I just didn't know any different." At age 17, Lowe soloed his first flight, and instantly fell in love with the skies. "Coming out of the clouds, and being on top is a pretty big excitement." 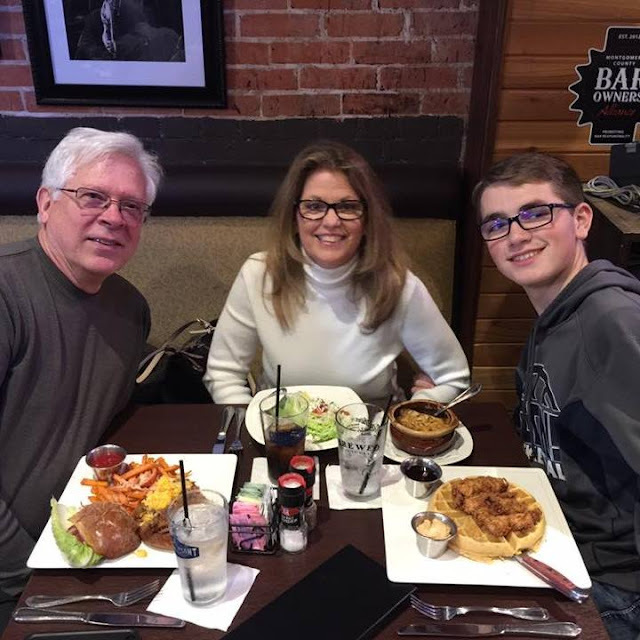 After college graduation, Lowe worked full-time for the family business, flying power line patrol, U.S Forest Service Patrol, air taxi charter, and eventually became an instructor. In 1982, he became the President and CEO of the company. 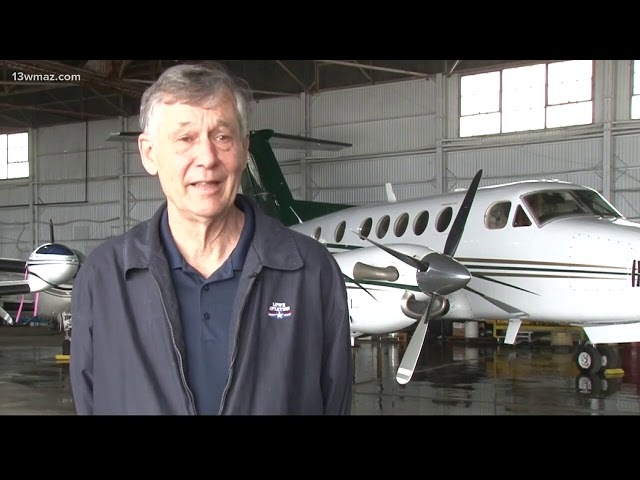 "We're like a marina for small airplanes, like a marina would be for boats, we store the airplanes here, we fly airplanes, we work on them," says Lowe. During his nearly 50 year stint in aviation, Lowe has served on the Warner Robins Museum of Aviation Board, worked on producing a film called Georgia Airports Mean Business, and chartered planes for celebrities. "One of my favorite parts is being able to promote aviation." Now, after years of promoting his passion for planes, he's being inducted into the Georgia Aviation Hall of Fame. "It's just incredible that they have chosen me to be in the hall of fame. It makes me really proud." In 1996, Lowe's father received the same award. Now both will sit side by side in the Georgia Aviation Hall of fame. The ceremony will be at Epps Aviation in Atlanta on April 27. 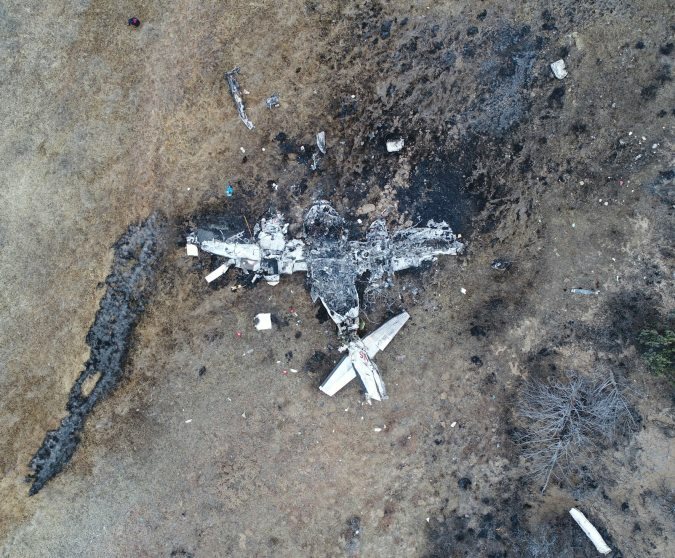 On February 15, 2019, at 0957 central standard time, a Cessna 421C airplane, N421NS, impacted terrain about 8 miles west of Hemphill County Airport (HHF), Canadian, Texas. The private pilot and one passenger were fatally injured and the airplane was destroyed. 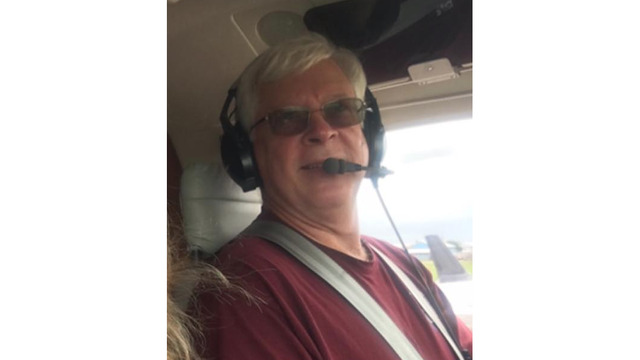 The airplane was registered to and operated by the pilot under the provisions of Title 14 Code of Federal Regulations Part 91 as a personal flight. Instrument meteorological conditions prevailed at the time of the accident and no flight plan had been filed. The flight originated from the Tradewind Airport (TDW), Amarillo, Texas at 0900 and was en route to HHF. A witness who was monitoring the common traffic advisory frequency at HHF stated that he heard the pilot over the radio and responded. The pilot reportedly inquired about the cloud heights and the witness responded that the clouds were 800 to 1,000 ft above ground level. The witness did not see the airplane in the air. The airplane impacted terrain remote terrain in an upright and level attitude. A post impact fire consumed most of the wreckage (figure 1). The wreckage was retained for further examination. Carmel and Paula Azzopardi in Gozo. 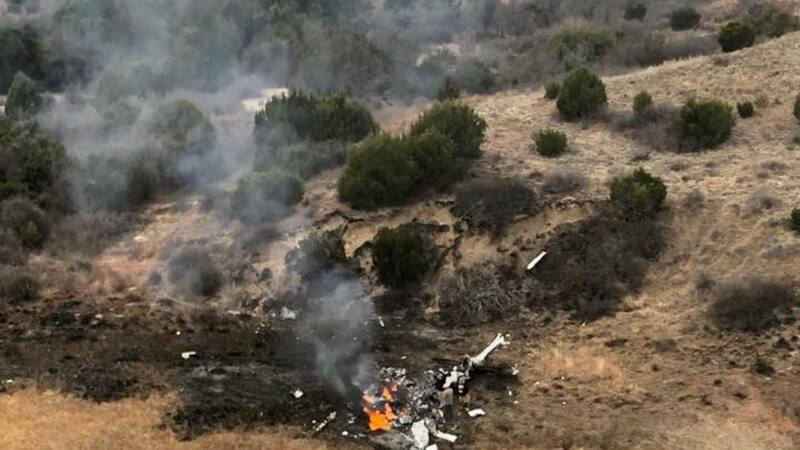 The pilot, Carmel Azzopardi, 75, and the passenger, Paula Azzopardi, 49, both of Amarillo, were killed in the crash in Roberts County, just west of the Hemphill County Line, according to the Texas Department of Public Safety. 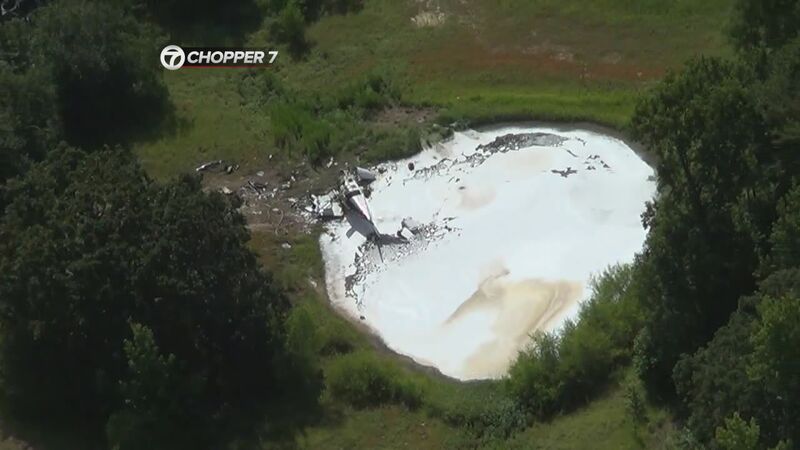 Investigators said the Cessna 421C Golden Eagle III crashed for reasons still under investigation, according to media reports. Mr. Azzopardi migrated to the US when he was young and his three children live in Malta, Times of Malta is informed. An animal lover, Mr. Azzopardi was a regular visitor to Malta, having visited the island just last November. He held both a light aircraft and helicopter license. The Foreign Ministry said they were in contact with the US authorities about the incident. 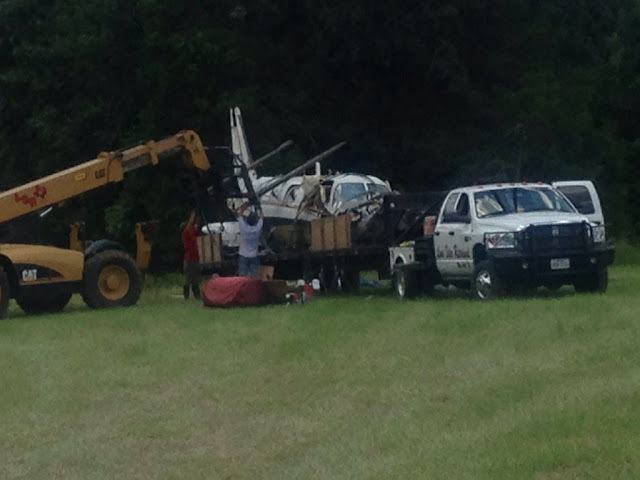 ROBERTS COUNTY, TX (KFDA) - Officials have identified the pilot and passenger that died after a plane crash in Roberts County on Friday morning. According to DPS Spokesperson Cindy Barkley, a plane crashed in Roberts County this morning east of Quarter Horse Road and west of Jim Waterfield Lake, 11 miles west of Canadian. DPS officials confirmed two fatalities related to the crash. 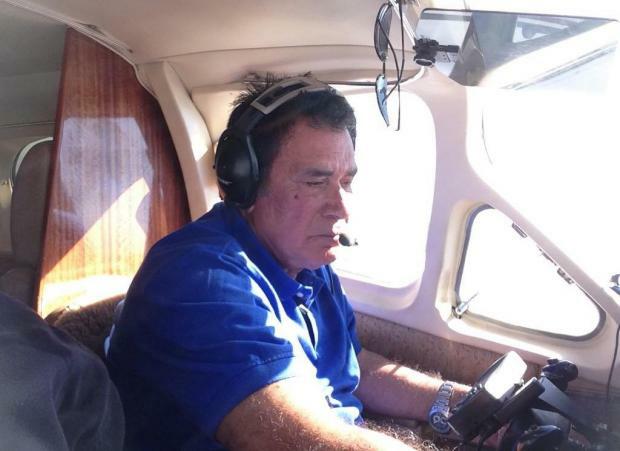 The pilot, 75-year-old Carmel 'Charles’ Azzopardi, and the passenger, 49-year-old Paula Azzopardi, both of Amarillo, died as a result of the crash. 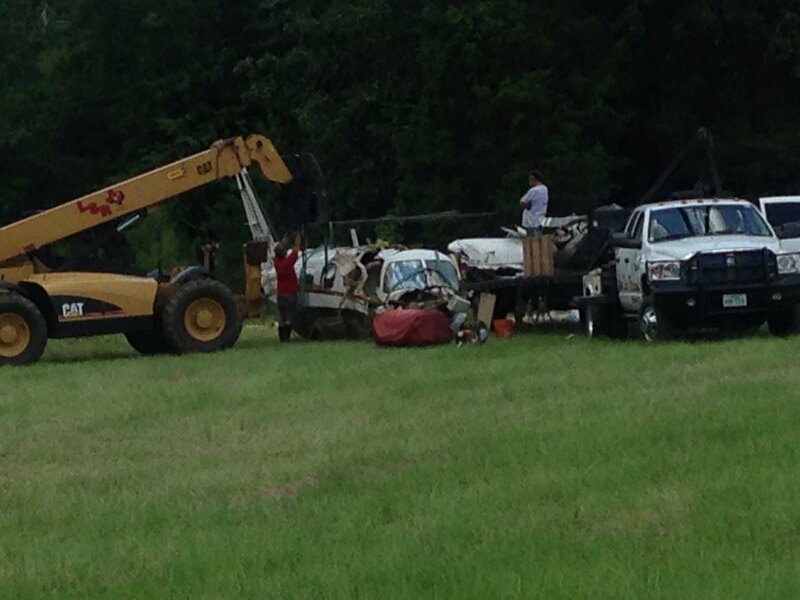 The FAA is set to arrive on scene today to investigate the crash and NTSB will arrive tomorrow morning. DPS Troopers are securing the scene until FAA and NTSB arrive. I tend to think of Southwest Airlines as a company that embraces decency. Its employees seem (relatively) happy. Its ads claim its employees are deliriously happy. Which is why last week's events at Southwest are a touch strange. In what some might see as a Trumpian step, the airline declared an "operational emergency." As part of that declaration, a company memo obtained by the Chicago Business Journal says Southwest insists all mechanics who have been scheduled to work have to turn up or, if they don't provide a doctor's certification, be in danger of dismissal. Worse, the memo even uses the phrase "alleging illness" to suggest some mechanics might not want to work, say, overtime as part of this emergency. That doesn't sound quite like the vocabulary of a harmonious relationship between management and mechanics. What, though, is officially causing this apparent panic? Southwest's maintenance organization issued a call to maximize the number of Mechanics available for work. On an average day, the airline plans for as many as 20 aircraft to be unexpectedly out of service for maintenance items. Each day this week, the percentage of out-of-service aircraft in our available fleet of approximately 750 aircraft, has more than doubled the daily average. So an unusual number of Southwest's aircraft are calling in sick. Indeed, 100 flights were canceled on Friday, another 39 on Saturday. Southwest told me there's "no common theme among the reported items." The airline's planes, all Boeing 737s, are put under constant pressure. 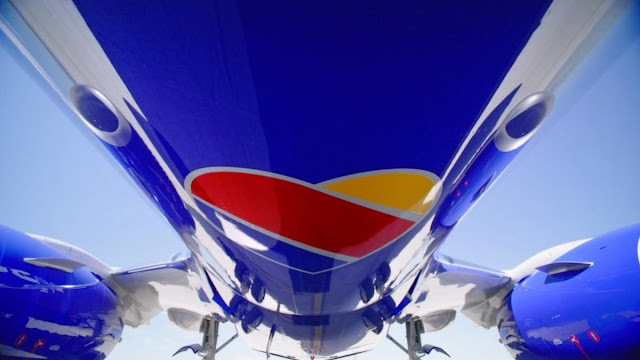 Southwest depends on fast turnarounds and multiple stops. The fact, though, that twice as many planes are having maintenance problems will concern many, including passengers. Recently, a disturbing CBS News report suggested that mechanics at Southwest and American were being pressured by management to overlook certain issues in order to keep planes in service. I've seen people walked off the job, held on suspension for a month or more because they've reported problems that they supposedly were outside their scope for finding. That report aired just a couple of weeks ago. I asked Southwest whether there was any relationship between that report and its sudden state of emergency. The airline wouldn't be drawn. Southwest is, though, currently in negotiation with its mechanics and has been since 2012. The Company continues to insist on massive offsets of foreign outsourcing and elimination of your paid rest. The Company asks for these 'offsets' while not increasing the money in any significant fashion from the Tentative Agreement (TA) that you, the membership, rejected by a wide margin. Make no mistake -- the Company is not currently engaged in good faith negotiation. The fact that Southwest is apparently threatening to fire some mechanics may be added to the file entitled: Things That Make You Go Hmmmm. To take care of our Customers, we are requiring all hands on deck to address maintenance items so that we may promptly return aircraft to service. Southwest Airlines told its mechanics on Friday that it is experiencing an "operational emergency" due to an unusually high number of grounded jets -- and demanded they show up for work or risk termination, according to a company memo issued on Friday and seen by CNBC. On Saturday, 100 Southwest flights were cancelled, more than any other U.S. airline, according to flight-tracking site FlightAware, and more than 1,000 were delayed.The airline usually plans for having as many as 20 aircraft removed from service for unexpected maintenance issues every day. However, each day this week, the percentage of out-of-service aircraft among its available fleet of about 750 Boeing 737s has been double the daily average, "with no common theme among the reported items," the airline said in statement. 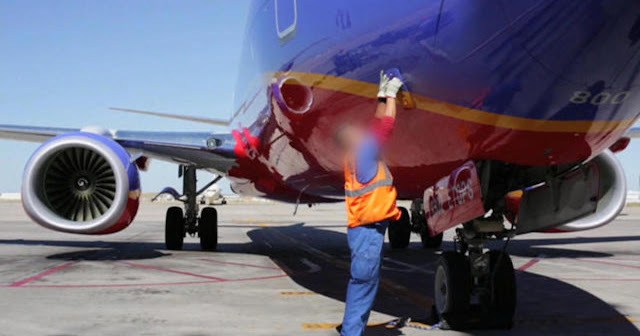 "To take care of our customers, we are requiring all hands on deck to address maintenance items so that we may promptly return aircraft to service," Southwest's statement said. "At the same time, our operational planners have been working in the background to minimize the impact to our Customers." The airline -- which has been in contract talks with its mechanics since 2012 -- told mechanics that if they are "alleging illness" they must provide a doctor's note when they return to work or risk losing their jobs, according to the memo. "The uptick in maintenance items we experienced over the last few days have resulted in a slight increase" in cancellations, a Southwest spokeswoman told CNBC, but declined to provide a breakdown between disruptions caused by either maintenance or weather. On Saturday, 23 Southwest flights were canceled. Southwest told the mechanics it would assign them overtime, and would only honor vacation or shift trade requests that had already been approved, according to the memo. The document was first reported by the Chicago Business Journal.